Washington D.C.--In response to power outages caused by recent thunderstorms in the Washington D.C. area, Congress has passed bipartisan legislation that would make it a federal offense for a tree to fall on electrical power lines. For a first offense, a tree could serve up to ninety days in federal prison and receive a $1500 fine. The legislation was passed through both houses of congress unusually quickly because of strong sentiment by area residents that the government should take action. "The government should do something to fix all this mess," said Frederick, Maryland resident Cookie McCrackin, "I ain't had electric for two weeks. Where's my bailout? Them trees is nothing but welfare layabouts anyway." Members of congress say the behavior of trees in the Washington D.C. area has long been problematic. "Make no mistake," says Shelley Moore Capito (R-WV), "Cutting power to so many hard working, middle class families amounts to nothing less than an act of domestic terrorism. From now on, trees must be held accountable for their actions." 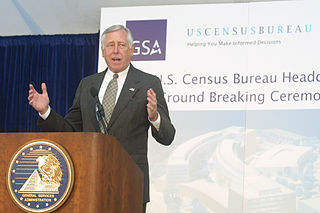 Steny Hoyer (D-MD) added, "Look, I love trees, you love trees. We all love trees. 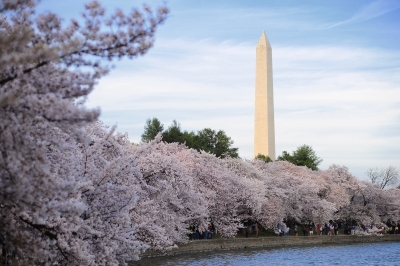 The cherry trees in the nation's capital were beautiful this year. But it's become clear that some trees just don't love us back." SLUPE (The Southern Lobby for Utility Power and Electricity) supports the legislation. In a recent press release, SLUPE stated "We are encouraged that congress has tackled the real problem facing the Washington D.C. power grid, and that they did so without increasing regulation. Now the utilities can get back to the task of creating jobs." The Arbor Society and the American Civil Liberties Union have announced plans to challenge the new legislation in court on the basis that trees are unable to defend themselves. Representatives from both organizations announced on MSNBC, "If corporations are entitled to protection under the first amendment, then so are trees. They may not be able to speak, but that doesn't mean they don't have freedom of speech." It remains unclear whether President Obama will sign the legislation into law. 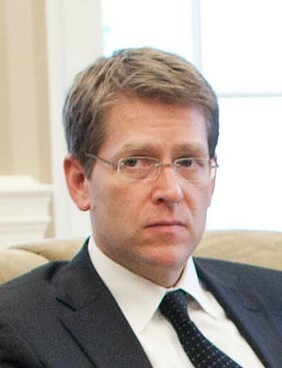 When asked about the White House's position on this legislation, White House Press Secretary Jay Carney said, "At least they agree on something."